High temperature superconductors have received a great deal of attention in recent years, due to their potential in device and power applications. This book summarises the materials science and physics of all the most important high temperature superconductors as well as discussing material growth, properties and applications. 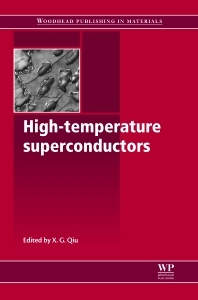 Part one covers fundamental characteristics of high temperature superconductors and high TC films such as deposition technologies, growth, transport properties and optical conductivity. Part two is concerned with growth techniques and properties of high temperature superconductors, including YBCO, BSCCO and HTSC high TC films, and electron-doped cuprates. Finally, part three describes the various applications of high temperature superconductors, from Josephson junctons and dc-superconductive quantum inference devices (dc-SQUIDs) to microwave filters. With its distinguished editor and international team of contributors, this book is an invaluable resource for those researching high temperature superconductors, in industry and academia. In light of the many recent advances in high temperature superconductors, it will benefit physicists, materials scientists and engineers working in this field, as well as in areas of industrial application, such as electronic devices and power transmission. Xianggang Qiu is a Professor and Group Leader at the National Laboratory for Superconductivity, Institute of Physics, Chinese Academy of Sciences in Beijing. He is widely known for his research into the growth and physical properties of high temperature superconductors under micro- and nano- scale and their heterostructures.